Family Promise of Greater Cleveland (formerly New Life Community and Interfaith Hospitality Network) helps homeless families in our community find housing and employment. The agency keeps families together during the trauma of homelessness and beyond as they strive to achieve long-term stability. In 2015, 114 families (400 individuals), including 275 children (average age of 5) received temporary shelter and services at Family Promise. 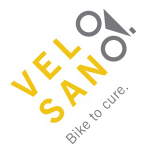 Latin for “swift cure,” VeloSano is a major community initiative that raises money for cancer research through the sport of cycling. Every dollar raised by VeloSano participants benefits the cause, and in just two short years, nearly $5 million has been generated to advance cancer research at Cleveland Clinic. Five fully-supported route options are available, and each route starts and finishes in downtown Cleveland, Ohio. There’s an option for everyone! Not able to ride but still want to participate? Become a virtual rider, volunteer or make a donation.